The Bubbles & Fizz Designer Series Paper is Stampin’ Up!s ® Sale-A-Bration product of the week! Because Sale-A-Bration has so many delightful accessories, they paired this paper with the Shimmer Ribbon Pack to show off how well they work together. 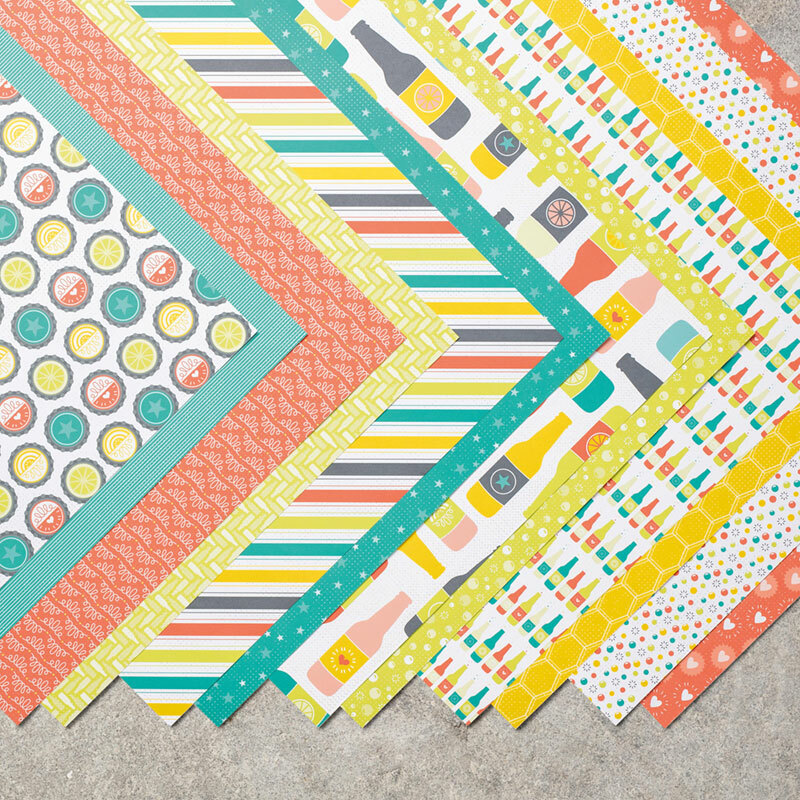 There are so many creative possibilities with the Bubbles & Fizz Designer Series Paper; anyone who loves curating designer series paper will want to earn this DSP for FREE! It also coordinates with the Bubble Over Bundle from the Occasions Catalogue. You can earn this stamp set for free, simply by spending $90 in my store. Please use host code BG2UQNPU if your order is less than $250 and I will send you a free gift.